Welcome to Australia and Beyond Holidays, a leading Australian inbound travel management company. Collectively our experienced team have been fulfilling the needs of international travellers to Australia and New Zealand for over thirty years. Australia and Beyond Holidays was established in 2012. We are an Australian owned company and know the destination like a local. Our multilingual team has a reputation for exceptional and competitive service. We cater for Independent travellers, Series groups and programs, Group tours and the Incentive travellers. Australia and Beyond Holidays is a participant in the Approved Destination Status (ADS) scheme between the Chinese and Australian government’s. Australia and Beyond Holidays operates a number of ADS approved itineraries. 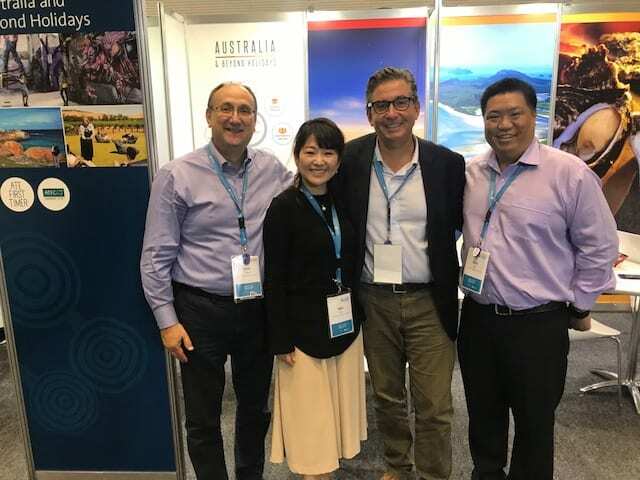 Australia and Beyond Holidays has established relationships with many Australian, New Zealand and International suppliers and can create an unforgettable experience for your clients in Australia, New Zealand and beyond. Our services can assist your clients in all aspects of the journey. We provide recommendations including what property, transport, itinerary construction or sightseeing options. Australia and Beyond Holidays is an ATAS (Australian Travel Agent Accreditation Scheme) accredited agency as well a member of AFTA (Australian Federation of Travel Agents) and ATEC (Australian Travel Export Council). In addition to the above Australia and Beyond Holidays holds “ADS” accreditation for itineraries from China. Former Managing Director of Qantas Holidays Worldwide. Simon has a Bachelor of Business in Transport and over thirty years experience in the aviation, and travel and tourism industries. The majority of Simon’s career has been at Qantas Airways Ltd in senior commercial roles including Head of Qantas Holidays and start up Managing Director of Tour East Australia. Our team of experienced multilingual professionals have worked in the inbound tourism industry for many years. Many have experience with some of Australia’s leading inbound companies. All of our team have an extensive well established networks with many Australian, New Zealand and International suppliers. Our Melbourne and Sydney based Consultants have extensive experience in tailor made and series groups, FIT product and incentives globally. Australia and Beyond Holidays has a specialist department with a focus on tourism from China, India and Sth East Asia. Our FIT, Agora platform is accessed via our homepage 24 hours 7 days a week. Our FIT program has 1000’s of products globally at wholesale rates in either a Net or Gross priced model.